All judges of the Superior Courts, Justices of the Courts of Appeal and Supreme Court and all full-time Commissioners and Referees are invited to be members of the California Judges Association. Retired Judges are eligible to continue membership or join CJA. Members are eligible for all benefits, may vote at the Annual Meeting and select Executive Board representatives. State Bar Court Judges are associate members with all privileges except voting. Please contact CJA at 1-866- 432-1252 for pro-rated dues if the membership year has begun. CJA dues are tax deductible up to 75%. To join, complete the CJA membership application and mail a check made payable to California Judges Association at 2520 Venture Oaks Way, Suite 150, Sacramento, CA 95833. 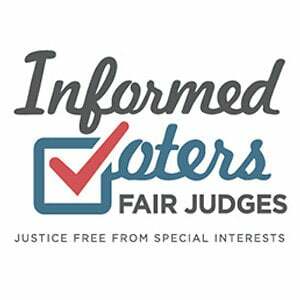 California Judges Foundation funds special speakers, publications, and public information projects of CJA, and accepts tax deductible gifts and grants as a 501(c)(3) corporation.